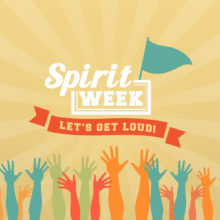 October 16 kicks off Spirit Week at Hollywood High School, and it ends on Friday the 20th. Monday is Pajama Day, Tuesday is Sports Day, Wednesday is Character Day, Thursday Is Tourist Day, and Friday is Roll Call. Come dressed in your jammies on Monday for Pajama Day. Support your favorite team by dressing in sports attire on Tuesday. On Wednesday come dressed as your favorite character, it could be a cartoon, show, movie, book, or superhero. Thursday is “come dressed as a tourist,” one could get their inspiration from the people of Hollywood Boulevard. Last but not least is Roll Call on Friday. Freshman wear grey, Sophomores wear black, Juniors wear white, and Seniors wear Red. The Friday of Spirit Week is the Fall Pep Rally.